How Cheap Can Tablets Get? I was amazed when Android tablets started selling for under $100 a couple years ago. Now you can get an Android tablet for under $50 with some even selling for under $40. I just learned that you can get a Kindle Fire 7 inch tablet for $50 on Amazon- if you order it configured it to show advertising on the lock screen. The Kindle Fire 7 is $65 otherwise. I would put up with advertising on the lock scree to get a Kindle Fire for $50. There are plenty of other options for cheap Android tablets, and they are getting cheaper all the time. 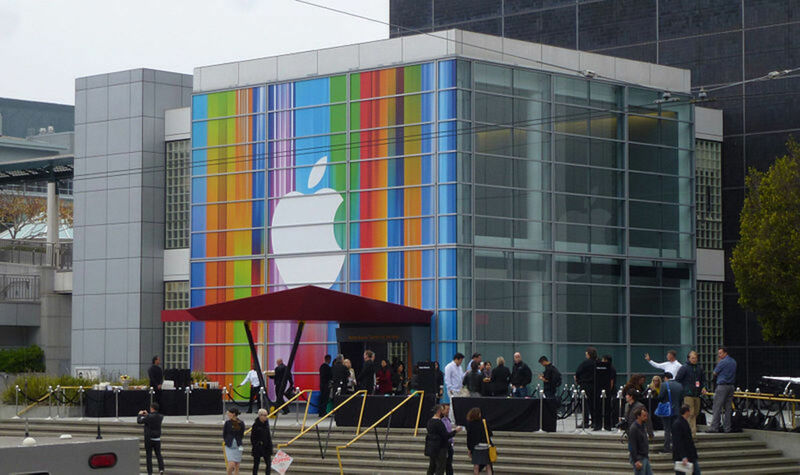 How cheap will tablets get? Before you buy a tablet for under $50, you should realize that you are getting a CHEAP Android tablet. 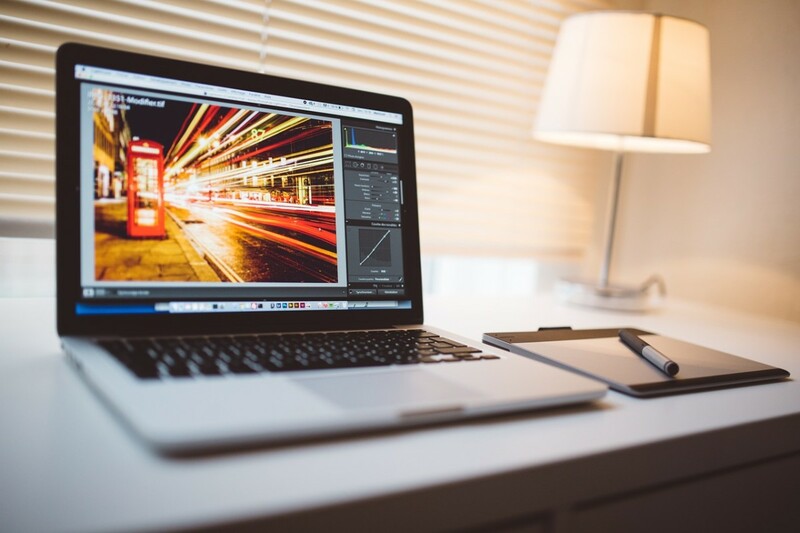 Depending on how you want to use your tablet, this may be fine, or you may find that a tablet in this price range is simply too slow and laggy to be very usable. Battery life is also another corner that it is cut to make a really cheap tablet. It is not that cheap tablets don't work. I found that all of the features of my tablet were operational. The problem is that the overall performance can be frustrating. What to Do with a Cheap Tablet? Cheap tablets can be great to use for specific functions and special tasks since they are so cheap. I use mine as an alarm clock in my shop most of the time and occasionally use it to surf the web. My keyboard stand holds the tablet at a convenient viewing angle. If you don't have a keyboard, you can rig something up really cheap using cardboard and duct tape to hold your tablet screen in a good position to be useful as an alarm clock. It is too hard to read the display if you just lay it flat on a table or shelf. After you have a stand, all you need is a free app from Google Play to make your tablet display the time in old school LED format. 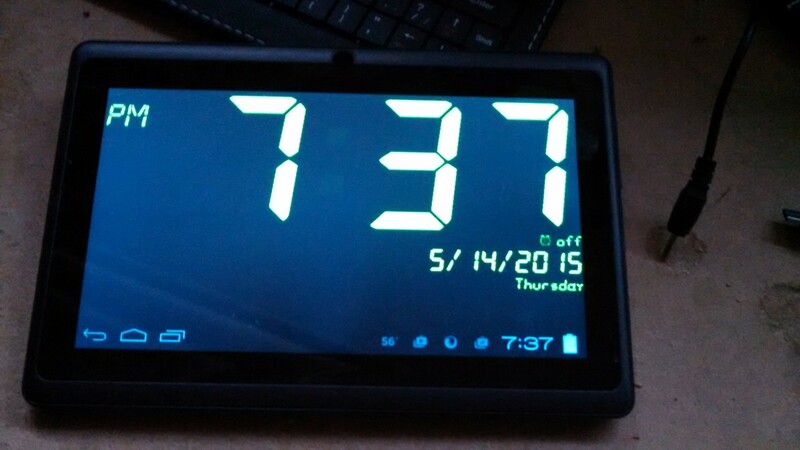 The app I found keeps the display on all the time when the tablet is plugged in. You can set alarms if you like, but I just use mine as a clock unless I am using it for something else. There are lots of free tablet alarm clock apps on Google Play, and some show weather forecasts too. You can turn your cheap android tablet into a wireless networked security camera. Tablets have a video camera and wireless networking, so all you need to turn your tablet into a security camera is some free software. You'll also need to mount your tablet to point the camera where you want to monitor. You can use a keyboard stand like I have, or you can get creative to find a way to mount your tablet in place. The cameras on cheap Android tablets aren't great- you won't get IR night vision like you do with "real" security cameras and the video quality may not be great, but you will be able to monitor an area in your house when it is light outside or when the lights are on. You can also use the microphone in the tablet to pick up sound. Check out Google Play to find free security camera apps for your tablet. I think a good use for a $50 tablet computer would be to let kids play with it. Since these tablets have only wi-fi and not cell phone access, there is no way that a kid could accidentally run up big data charges watching videos like they could if they play with your cell phone. 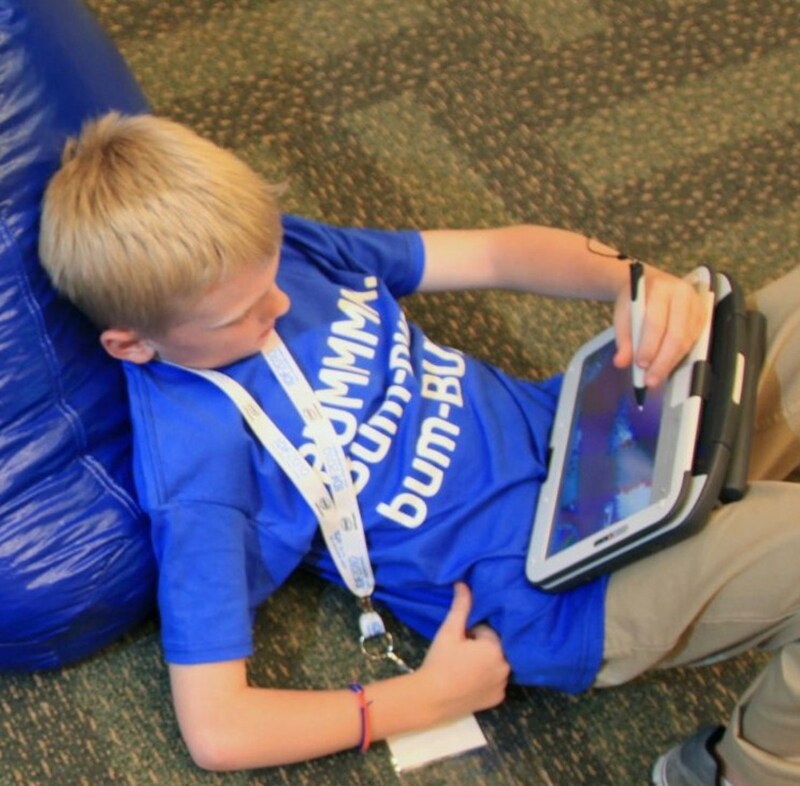 There are all kinds of things kids can find to do on a cheap tablet. You can watch videos free from YouTube, or you can access videos from paid services such as your Netflix, Hulu, or Amazon Prime account. Games are also a big attraction- you can download lots and lots of simple games for free from Google Play. Some of the games have ads, but that's the price you pay for getting something for free sometimes. The tablet has everything you need to play games- you can download the games via the built-in wi-fi, and play the games using the touch screen and speakers. Kids also like playing with the camera and microphone on tablets. There are a lot of fun things that even a cheap tablet has to offer for kids. I give tablets under $50 a 3-star rating for value. There are lots of things you can do with a cheap laptop, but they can be laggy and frustrating at times. If you don't need your tablet to do too much, a cheap android tablet for under $50 can be a fine value for the money. If you are not patient waiting at times for your tablet to keep up with you, you might want to spend a little more to get a faster model. You will end up using it more and getting more value for your money. For about $7 you can get a case and keyboard for your tablet. This is really handy if you plan to do much typing on your tablet. 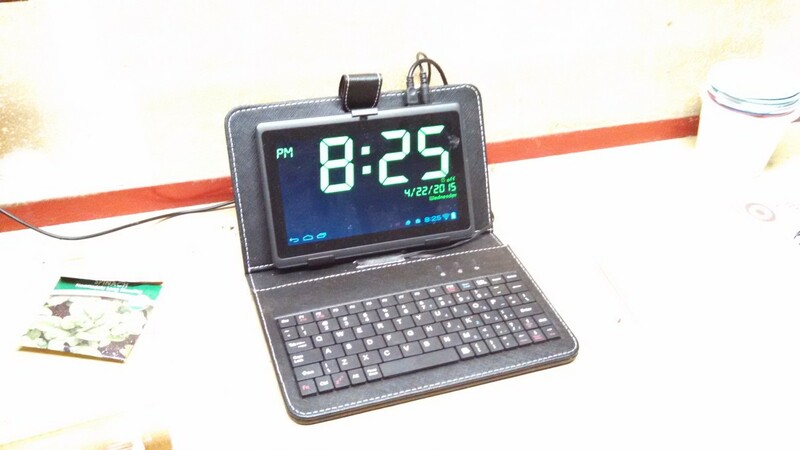 The case is handy so you can stand your tablet up to watch movies or use it as an alarm clock. When I got a keyboard to go with my Android tablet, I thought it might make a good laptop replacement. I found that the small 7 inch screen, the relatively slow processor, and small amount of memory and file storage do not really allow a cheap tablet to function as a laptop replacement- even if you add a keyboard. 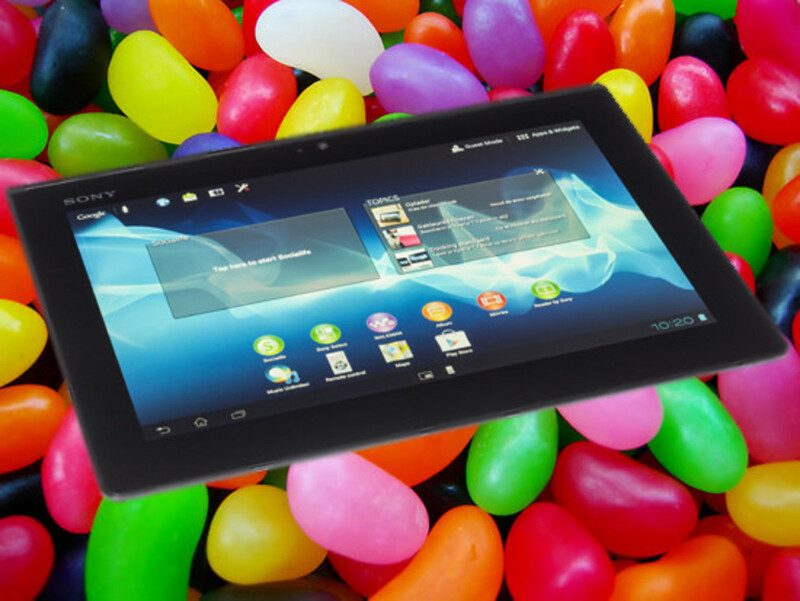 What is the most you would pay for an Android Tablet? Is a Tablet Under $50 Worth the Money? Cheap tablets provide a lot of features for the money, but the overall experience using a cheap tablet may not be great. Cheap tablets tend to be slow and have short battery life. 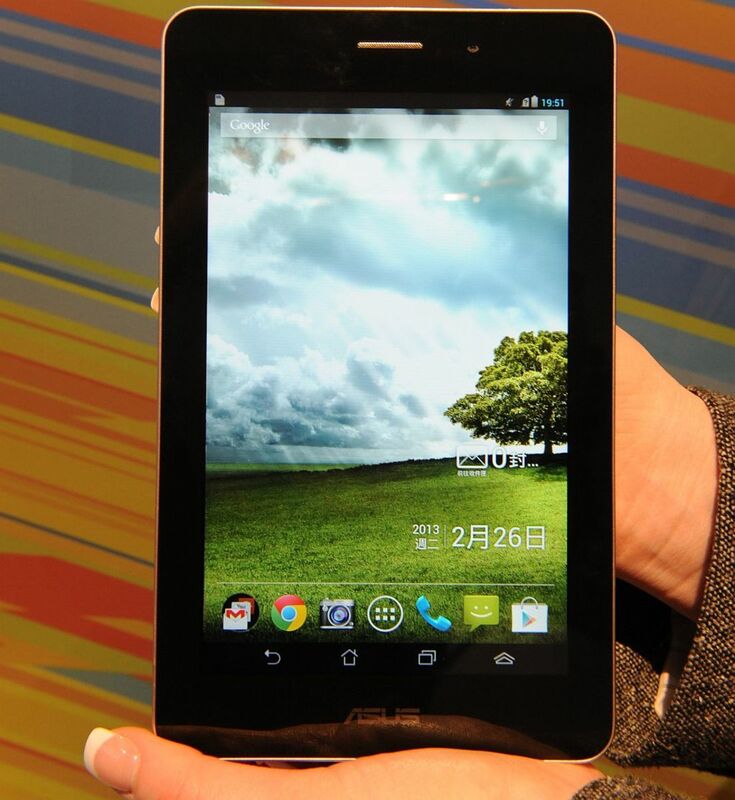 If you are willing to be a little patient to save some money, a cheap tablet can be a good value. Cheap tablets are also fun to use for special projects. I use mine as an alarm clock most of the time. You could also use a tablet as a wireless security camera or give one to your kids to play with. For under $50, you don't have much to lose by trying a cheap tablet if you think you might use it. Great post. I was looking for something like this. My three year old has a birthday coming up. My daughter has a tablet that only costs $50, it has lasted a year and is still working. Great Hub! FlourishAnyway, small kids would certainly be happy with a cheap tablet. $50 is pretty cheap for something that can provide web surfing, games, streaming video, digital video recording, and much more. I guess this would be okay as a starter for kids. Gosh, how cheap can they get. I guess you do get what you pay for, however. leakeem, you can get basic internet access and entertainment on a tablet for less than $50. Thanks for commenting! Great info! Good to know for people on a budget.